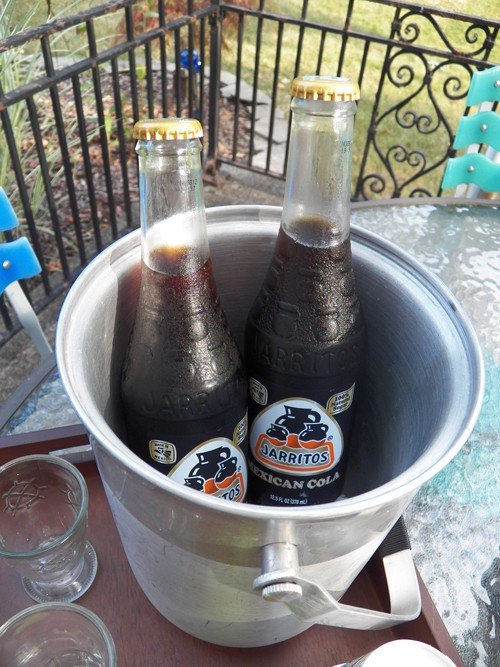 Jarritos kindly sent me another sample of soda! I had a big Jarritos tasting party last summer. This time it is Mexican Cola flavor. 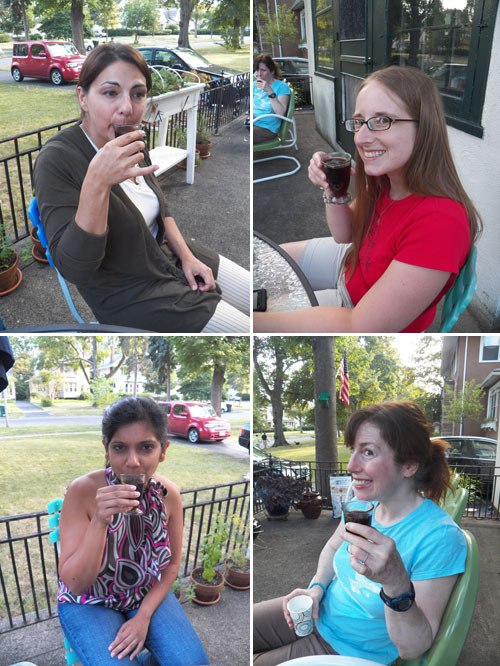 This time I had my peeps over for a Girls Night Out to taste test. Everyone commented that it reminded them of soda they had as a kid. That's probably because this Jarritos Mexican Cola has real sugar... no high fructose corn syrup here. We all agree that real sugar is better. Next someone mentioned that it had a lemon undertone which I started to agree with until someone else said grape and then I totally tasted grape. We all thought it was tasty and polished off both bottles. 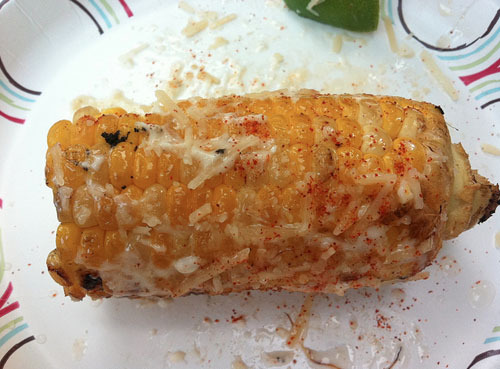 To go with the soda I made grilled Mexican corn (recipe here). I also made chicken quesadillas on the grill. I burnt the first one before I had a bright idea. I put my Pampered Chef pizza stone over the Weber grill. That was perfect. 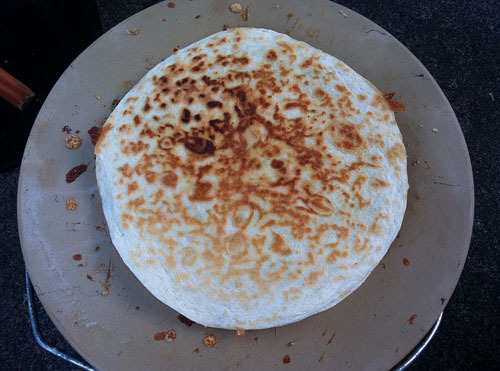 Each quesadilla after that baked perfectly. Inside was shredded rotiserrie chicken, pepper jack cheese, cheddar cheese, scallions and mushrooms. Just the right accompaniments to our Jarritos. There are a lot of cool things on the Jarritos Facebook page. There is a scavenger hunt with prizes and a store locator. I feel like I see Jarritos everywhere now! On the last episode of True Blood, Lafayette is having a bottle of Jarritos in a cafe! 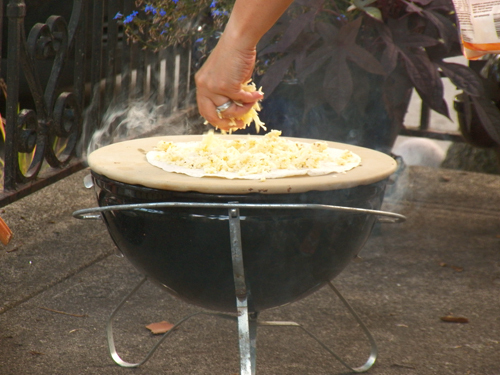 Great idea with the pizza stone! I'll have to try that with mine (I also have Pampered Chef).